We are excited to welcome Kristen Steele to Team 315 as the new Program Secretary! Kirsten is born and raised in Great Falls and graduated from Great Falls High. She attended MSU Great Falls and studied Graphic Arts. She has been married to her husband Tim for eleven years and has 3 children – Nic, Harlee and Cooper. Nic and Cooper are involved in Scouting and her daughter Harlee is in Girl Scouts. Kirsten was involved in Girl Scouts and achieved the highest rank of Gold Award. Tim is also involved in Scouting as the Cubmaster of Pack 4007 here in Great Falls. 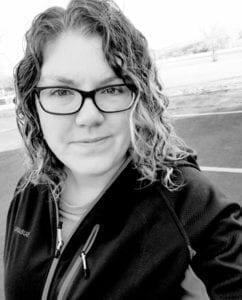 Kirsten enjoys camping, designing crafty items and is a Subaru Ambassador – which means she is very passionate about the Subaru brand and gets to attend the Subaru Convention and has met the President of Subaru. She is a great addition to our staff and we couldn’t be more pleased to have her join the Montana Council adventure.